Porsche. When the Porsche Boxster made its debut in 1996, it too became a popular model to customize. 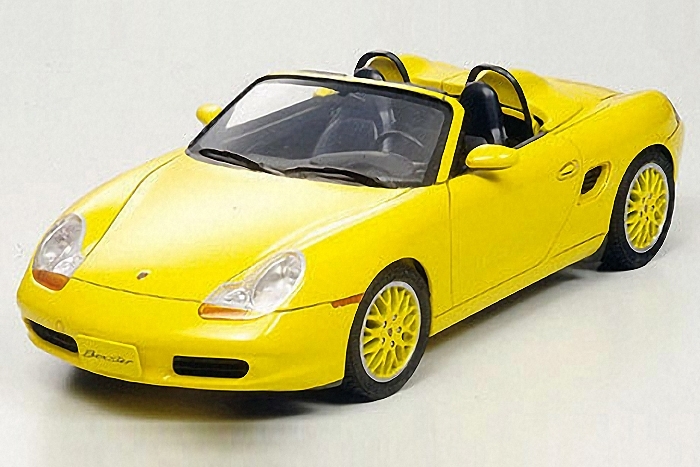 The Boxster's affinity for customization became particularly apparent during the 2001 Tokyo Motor Show, when crowds gathered around a yellow, customized Boxster that featured two bumps on the rear section and was specially designed under the "Porsche Exclusive" program. With its body, as well mesh wheels and roll bars all painted bright "speed yellow", the car displayed as "Porshce Boxster special edition" drew considerable attention with it speedy and original style.